When viewing enlarged images from the detail pages, just click outside the pop-up window to return to the details page. Check filtering options to turn on filters, Un-Check the boxes to turn off filters. 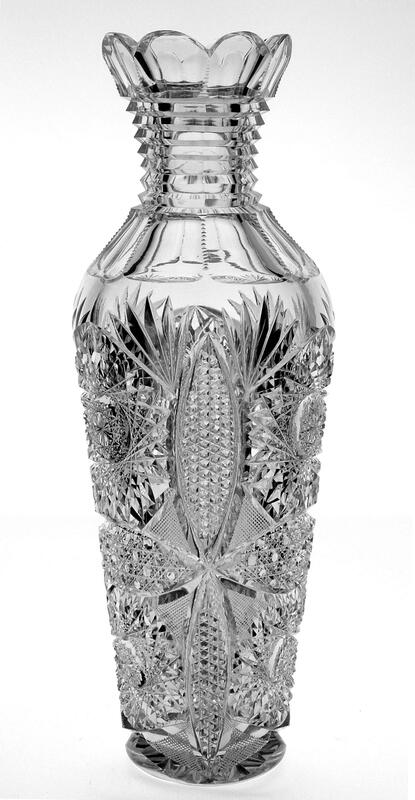 The cut-all-over design is ideal for the tall, slender shape of this 14-inch tall vase. The cutting is quite deep, sharp to the touch and very well-polished. The blank is clear, water-white and weighs 5 1/4-lbs. This is definitely a premium piece of American Brilliant Cut Glass. 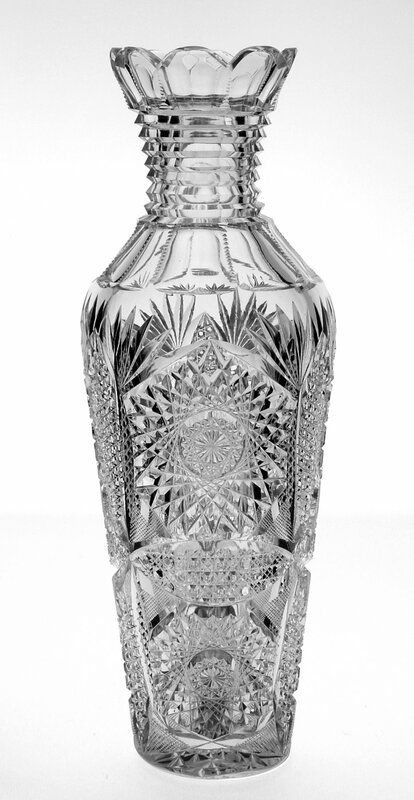 The maximum diameter of the vase is 5-inches; the base has a 3 1/2-inch diameter and a very unique hobstar. The condition is better than extremely fine with no internal residue or discoloration. This fine vase has been in our collection for over ten years and is still unidentified as to design name or cutting house. Please let us know if you can identify the pattern. Enjoy!